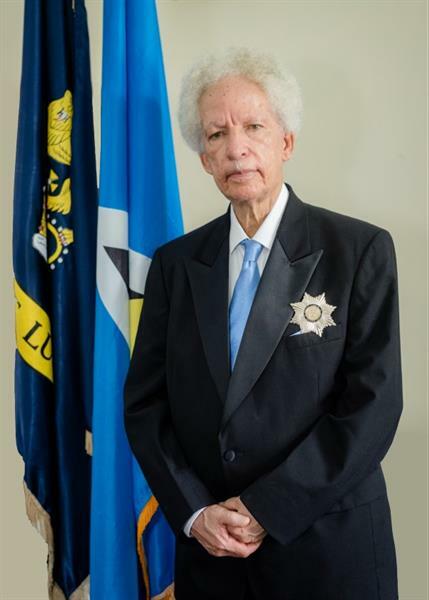 His Excellency Sir Emmanuel Neville Cenac took the Oath of Office of the Governor General in a ceremony held at Parliament Building on Jan. 12. After taking the oath, the he addressed those viewing the event, stating that the position of Governor General was one of unity and this was a truth he would always uphold. "During my inauguration as President of the Senate in 1993, I did assure the Senate as some may still recall, [that] I am not less the present of the opposition for being appointed by the government. This was meant to show that there was a certain sacro-sanctity inherent in certain offices, that demanded unwavering impartiality. That same sentiment I repeat here today, for a Governor General is a symbol of unity to bind us together as one. This for me is the stamp and hallmark of our true parliamentary democracy." The 10 am ceremony was attended by a wealth of dignitaries, and was followed by a reception at Government House. Prior to the event, Her Majesty The Queen of England had approved the appointment effective Jan. 1, 2018.